Two futuristic moments really got me thinking this week. First, the staggering forecasted growth for devices that will be connected to the internet by 2020. According to Redshift Strategy, the number of connected primary screens (i.e. the telly in the corner) will pass 80%, while the number of people with smartphones and tablets is growing fast: 88% are expected to own a smartphone by 2020 (up from 31% in 2010) and 77% a tablet (up from 2% in 2010). Of course, he would say that. With 53 million customers paying for his subscription service, Hastings was being provocative. But was he being realistic? Take Freeview Connect, which is due to launch early next year with a claim to offer a better, simpler and still-free system of watching the nation’s most popular channels, plus catch-up services. Isn’t that what YouView was supposed to do? Actually, YouView promised to offer “the benefits of next-generation TV to all consumers, including those who choose not to subscribe to pay-TV”. But it did so with proprietorial technology and a shareholder group that included a diverse range of players. YouView is successful, but it has also become hostage to the bundled services of shareholders BT and TalkTalk, both of which subsidise YouView boxes to grow their broadband connections business. This has been effective for both companies: BT has made its offer even more attractive by including access to exclusive sports rights, such as English Premier League football games. But it’s telling that YouView’s PSB shareholders (BBC, ITV, Channel 4 and Channel 5) decided earlier this year to stop funding it at the same level as their telco partners. Freeview Connect is an open spec that any manufacturer of TV sets, set-top boxes or games consoles can add to their device. It will be available at retail at a reasonable price, without being part of a bundled product of pay-TV and/or broadband. 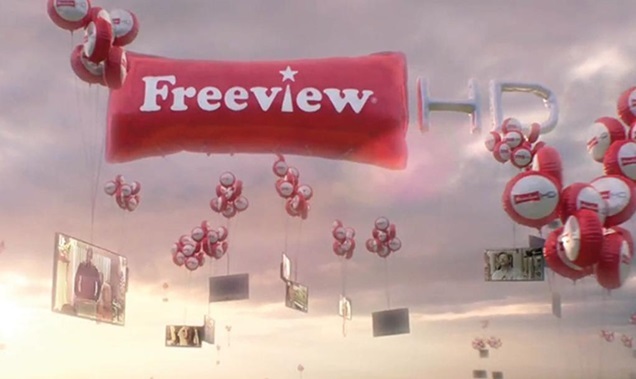 Freeview Connect is moving ahead under the umbrella of Digital UK, an organisation owned by the BBC, ITV, C4 and digital multiplex operator Arqiva, and unlike Freeview Digital UK, it doesn’t count Sky as a partner. The launch is not going to rock the world of Reed Hastings, but it does raise the issue of where we stand as we move to a more connected world. How can we predict the winners and losers in The Great Audience Grab? Well, the point is that connected devices will change how we watch TV, with more and more catch-up viewing, especially for genres that aren’t time-sensitive like drama, which is Netflix’s bread-and-butter. Meanwhile, the PSBs must make sure their channels and programmes are easy to find and access in the connected world. After all, they will be living between the bundled pay-TV/broadband packages of BT and Sky on one side and pay-lite streaming television services like Netflix and Amazon Prime on the other.